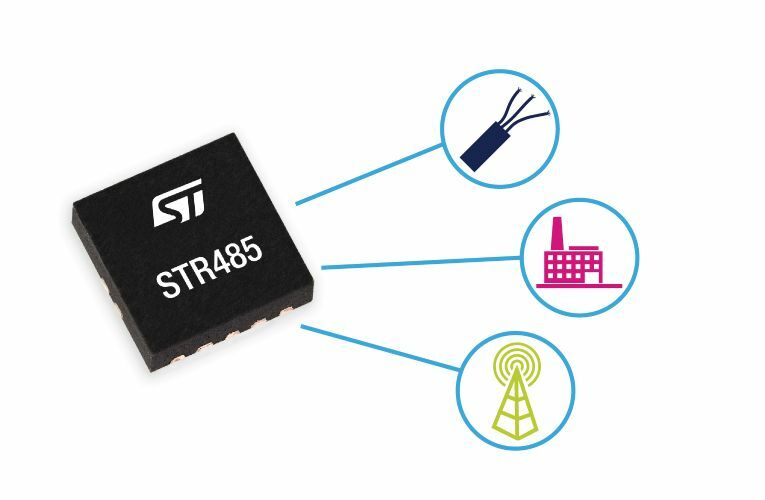 The STMicroelectronics STR485LV 3.3V transceiver for RS485 applications, enhances design flexibility by providing an external pin to select 20Mbps or 250kbps communication and interfacing directly with low-voltage logic down to 1.8V. The user-selectable data rate allows designers to specify the same device and thus simplify inventory management for RS485-networking applications, ranging from high-speed/short-range up to the maximum communication distance (4000 feet) depending on cable performance. It is ideal for a wide variety of scenarios, including telecom infrastructure, high-speed data links, or low-voltage microcontroller communications. Designers get the flexibility to connect low-voltage logic devices from 1.8V to 3.3V directly, without needing level-shifting components, leveraging the 1.65-3.6V supply-voltage range for data and enable signals.